I’m paring right back on my usual in-store and convention appearances this year, just so many other demands on my time at present, but the first of those I have committed to — will soon be upon us. I’m bound for Belfast, where I’ll be attending the Transformers-centric Opticon 1 fan convention at Belfast’s wonderful W5 centre. It’s over the weekend of May 9th-10th, and I’ll be there alongside the ever-fabulous Nick Roche, chatting to fans, signing (and maybe selling) stuff and doing the odd panel/Q&A type thing. If you’re in the area and want to pop along and say hi, you can check out the Opticon 1 Facebook page for more details. 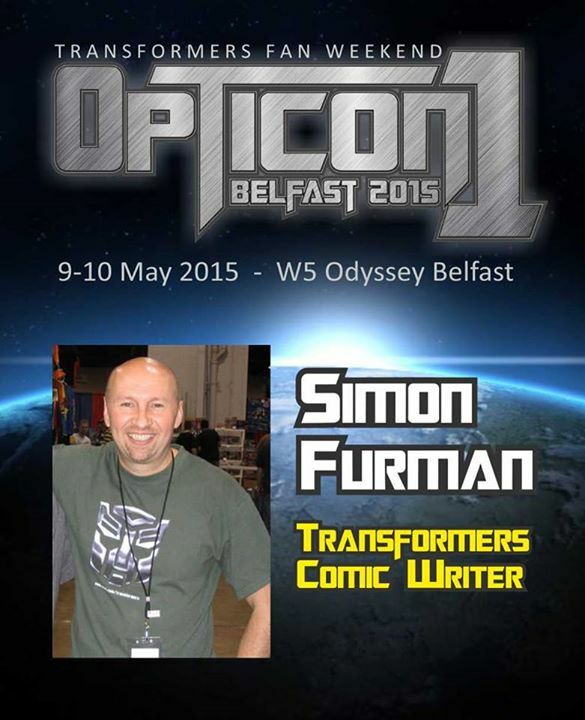 You are currently browsing the simon furman blog archives for April, 2015.